663 61st St Oakland, CA. | MLS# 472520 | Andrew de Vries, Probate Real Estate, San Francisco Probate Real Estate, Oakland Probate Real Estate, Berkeley Probate Real Estate, Alameda Probate Real Estate, Lafayette, Contra Costa Probate Real Estate, Probate realtor, Probate agent, Probate Broker. 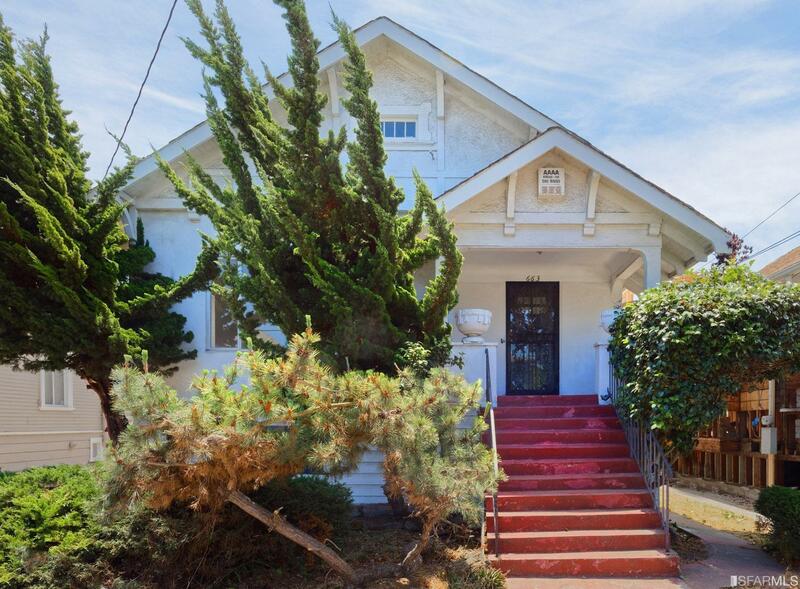 Just Sold - 663 61st Street, Oakland - Listed for $699,000, Just Sold for $1,027,000 in 3 Weeks with Multiple Offers - This was a Rare opportunity to purchase a Vintage 3BD/2BA Project Home in the hot North Oakland/Bushrod Park area & make it your own! Large Square footage (2119 Sq Ft per Tax Records) & lots of reconfiguration options abounded in this 1912 Classic that has been in one family for many years. I provided all estate liquidation, property clean-up, repairs, marketing and negotiations for this top-dollar sale by a trustee on behalf of the beneficiaries. ---------------- Rare opportunity to purchase a Vintage 3BD/2BA Project Home in the hot North Oakland/Bushrod Park area & make it your own! Large Square footage (2119 Sq Ft per Tax Records) & lots of reconfiguration options abound in this 1912 Classic that has been in one family for many years. A big undeveloped basement down adds even more to the expansion potential. Outside are large front & rear yards, plenty of off-street parking & a detached garage, all of which are nestled on a centrally-located street that shows lots pride of ownership & recent neighbor enhancements. Wonderful, vibrant area cls to BART, freeway, schools, shops, cafes, Berkeley, CAL, Rockridge, parks & more! Bring your tape measure, creativity & design skills for this unique offering.